Every woman dreams about being well dressed and looking good, however that dream can quickly move out of sight due to a tight budget, dissatisfaction with your body shape or a busy schedule. While much of the world is watching what it’s wearing, many women would still admit that it is an exhausting task to find the right dress. Well, failing to dress to the nines is not the most vexing vice, but it is definitely not something to be proud of. How to choose the right clothes? What fabric will accentuate the curves or what will make the entire look gawky? What counts for an effortless chic look? These are some head scratching questions. Soon, we dismiss the thought of looking stylish and leave it for the rich or the thin. After all, autumn/winter is that season which fashionistas look forward for doling out their creativity! There are fewer women who experiment with style, colors, and fabrics during winters. In fact, right kind of fabrics, colors, and accessories will not only keep the cold at bay, but also make the season stylish. The problem with wearing too many clothing items at once is that you can easily look and feel like the Oros man. Although it requires a bit more thought and effort to remain stylish during the winter months, it is very possible and easy to achieve, once you get the hang of it. So, if you really want to snag the perfect cold weather style, throw out those old knitted sweaters and follow these easy steps.One way you can protect yourself and keep yourself looking fashionable is with a scarf. Not only are they fairly inexpensive, they can be purchased in a variety of fabrics, colors, and styles. With a scarf, you can show your style personality and keep your body heat in your jacket. Scarves will add some color and life to that cold and grey winter days. Try wearing a color that will either accent your coat or match your hat. 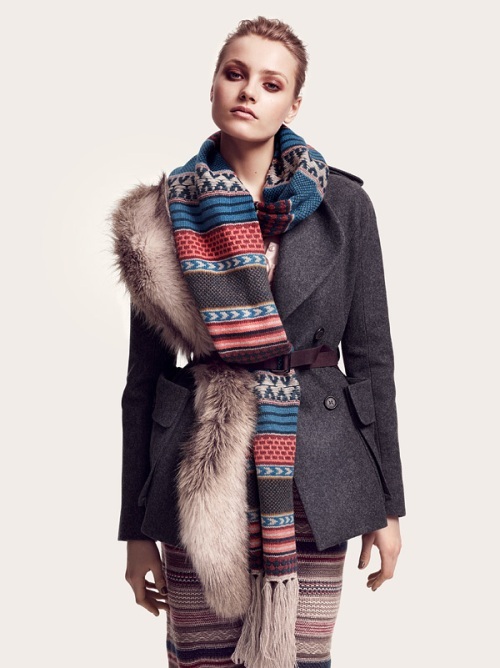 A black coat could be paired with a scarf that is dark or light gray; burgundy; navy; or a fun, mixed pattern or print. Black will work well with nearly anything, but keep the look stylish and not kindergarten by avoiding colors that completely clash.Those wearing a brown coat should try scarves that are burgundy, a darker or lighter shade of brown, cream, purple, or a non-fluorescent shade of orange. Basically, brown coats work well with complementary neutrals or warm-toned scarves. Women can try a fun pattern or print to mix it up a bit! Instead of going bare-legged, ladies should consider wearing tights or leggings beneath their skirt or dress. Not only does it look more climate-appropriate in formal situations, your legs will remain softer since they won’t be as exposed to the elements. Just like scarves, leggings and tights come in many different varieties, so it is nearly impossible not to find a pair that will work with your outfit.